Is BMW Helping Apple with Its Electric Car? CNBC and several other news organizations are reporting that Apple and BMW have been getting fairly cozy these days. Could the two companies be working together to challenge other electric carmakers? According to several sources, Apple and BMW’s conversations have focused on the popular BMW i3. Apple executives, including Tim Cook, took a trip to Germany to check out BMW’s manufacturing facilities and learn more about how the electric car is built. It was recently reported that the Apple electric car will be available within the next five years, and could be engineered to take on the Tesla Model 3 and Chevy Bolt EV. Apple also recently hired several automotive engineers and Doug Betts, a veteran of Fiat Chrysler, to work on the shadowy “Project Titan”. Predictably, neither BMW nor Apple are saying a word about their private meeting. It’s no wonder that Apple would want to pick the brains at BMW, though. 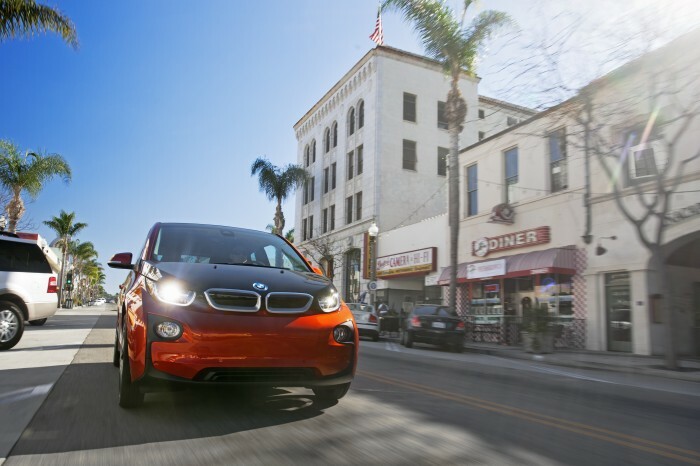 The BMW i3 was named one of Kelley Blue Book’s “10 Best Green Cars of 2014” and Yahoo’s Green Car of the Year. BMW also added the BMW i3 to the DriveNow ride sharing program to help improve air quality in cities. The News Wheel will keep you informed as we learn more about this potential Apple car.